Here We-Go Again! How Can It Be 3 Years? Like everyone at this this point in life our brains have aged in that area that turns the endless summer vacation into only a week and the thing that happened 10 years ago, into last year. Where am I going with this?? It’s that time again! 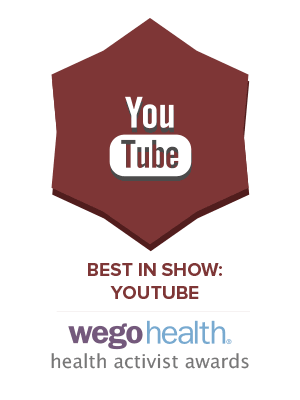 WegoHealth is embarking on its third annual awards program for health activists! That’s right third! It seems like they were in diapers just a few minutes ago and now they are celebrating their third birthday! If you haven’t been introduced to WegoHealth, please allow me. 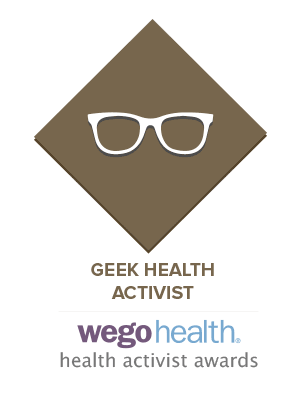 Wego strengthens health activists by connecting them to the people they are reaching out to. 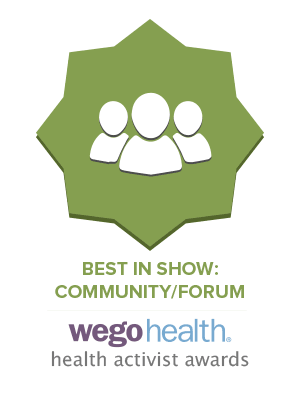 Or as they put it: WEGO Health is a platform for committed health advocates to foster new relationships, gain access to helpful resources, and to grow their communities. Kinda the same thing, right? If you aren’t sure that you or someone you know is a health activist- check out these quotes. If they apply to someone who is succeeding in any of the many award categories- NOMINATE them. It’s pretty much a big thank-you-hug in the form of digital awards. It’s the least you can do to express your gratitude. And their new design for the nomination is sleek and cool. Just check out these logos. Attractive right? So, if you’re nodding your head thinking about a person who deserves this recognition and you want to make their day. Nominate, Nominate, Nominate. It will feels sooooo good. Trust me, I’ve nominated many a deserving person, and the warm fuzzies last all week! Thanks for reading and for nominating that special someone you’ve come to rely on. You’ll be glad you did. *Although one’s perception of time is not associated with a specific sensory system, psychologists and neuroscientists suggest that humans do have a system governing the perception of time. It is composed of a highly distributed system involving the cerebral cortex, cerebellum and basal ganglia. One particular component, the suprachiasmatic nucleus, is responsible for the circadian (or daily) rhythm, while other cell clusters appear to be capable of shorter-range (ultradian) timekeeping. 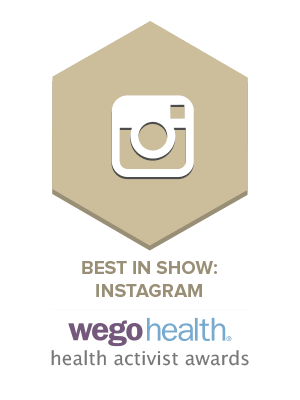 This entry was posted in LOL-Day to Day, Wego Health and tagged 3rd annual awards program, health activist, Health Activist Awards, nominate, Wego Health.